Leading Manufacturer of hand block print fabric, hand block printed running fabric, textile hans block printing services, boota hand block print fabric, hand block dyed fabrics and hand block painted dress material from Jaipur. 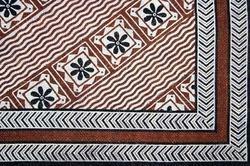 We are considered in the market to be one of the leading manufacturers and suppliers of this impeccable range of Hand Block Print Fabric. Making of this range is done in accordance with the set industry norms and guidelines, utilizing the finest yarns and modern machines. This ensures the product’s finishing, elegance, colorfastness and resistance to shrinkage. 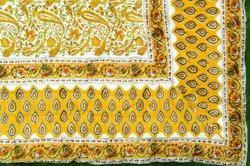 We are engaged in offering Hand Block Printed Running Fabric. Our offered fabric is made from pure quality cotton materials that are procured from certified vendors of the industry and is superiorly crafted by our well-qualified craftsmen to meet our clients’ diverse requirements. This offered net is available with us in kaam print patterns and various colors and sizes. Being the most notable names in the industry, we offer wide array of Textile Hans Block Printing Services that are offered in varied attractive looks and are trendy in nature. 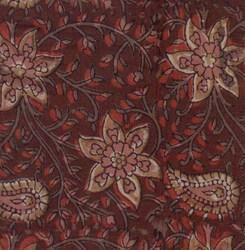 Block Print Fabric is delivered in standard lengths and can be easily used to design or leggings. They are skin-friendly in nature and can be worn with most stylish manner. Additionally, we offer them in light and dark shades. 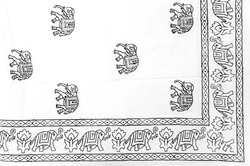 Being one of the reputed organizations in the market we are engaged in manufacturing, exporting, wholesaling and supplying an exclusive range of Boota Hand Block Print Fabric. The block print fabric provided by us is woven by making use of premium quality threads with the aid of the latest techniques. 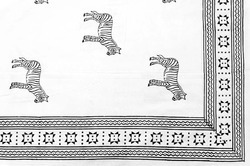 Our offered Block print fabric is checked by quality experts so as to ensure its flawlessness. 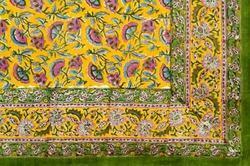 This block print fabric is obtainable in plenty of colors, shades & prints as per the variegated choices of the customers. Being the most remarkable names in the industry, we offer an exceptional range of Hand Block Dyed Fabrics that is valued among the clients for its classy looks and trendy patterns. Our entire product range is designer in nature and is worn with utmost ease. We offer them in enchanting shades and are skin-friendly. Our product range is easy to fabricate and are designed by experienced professionals. 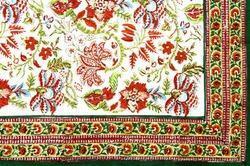 Backed by all modern amenities, we are engaged in offering Hand Block Print Fabric to the clients. Our offered fabrics are made from top notch quality raw materials and finest yarn employing most recent technology. This is available with us in various Jaipuri prints, attractive designs and vibrant colors. We are key manufacturers in this industry engaged into offering Hand Painted Dress Material. Our offered fabric is made from the finest quality raw materials and developed with most recent textile technology in compliance with current market trends. It is indigo dye printed and available with us in various sizes and color combinations as per the clients’ specific choices. Backed by adroit and skilled team of professionals, we are engaged in offering Hand Made Printed Fabric. 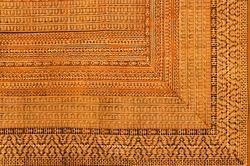 This hand block printed fabric is acknowledged for its extra smooth texture and thereby used in various garments. They are available with us in various attractive and magnificent colors, patterns and designs, as per the clients’ demands and choices. We are amongst the most notable names in the industry, offering smooth and classy collection of Indian Hand Block Printed Cotton Fabric that are trendy in looks and are designer in appearance. Our entire product range is delivered in varied attractive shades and finishing texture. They are light in weight and can be carried in varied manner. Block Print Fabric is classy in nature. In order to retain our goodwill in this industry, we are offering Block Printings. With the wide industrial experience, we are able to full fill the requirement of our customers. Our artistic and creative professionals make use of different alluring designs, imaginative pictures and floral prints on fabric. This service is known among customers due to its timely competition & attractive printing. Being one of the reputed organizations in the market we are engaged in offering Textile Block Printing Services. Each process is carried out under the strict and vigilant supervision of experienced persons in order to conquer new frontiers of excellence by eliminating all defects. We are highly capable of printing attractive and colorful designs on fabrics by using advanced techniques. Customers can benefit these services from us within a committed time frame. 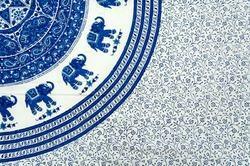 We have emerged as one of the leading entities, engaged in offering quality assortment of Block Printing Services. Our offered service allows designer to print international quality solutions at par with international standards and norms. Our offered services are executed by skilled and experienced team of professional. In these services we use superior quality printing material & customers can benefit this from us as per their requirements. 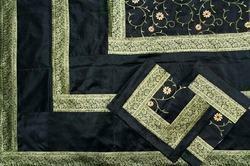 Owing to our expertise in this field, our firm is engaged in supplying an extensive array of¿¿Handmade Fabrics. In order to comprehend and meet the diverse demands of clients, we are able to offer a stunning array of Bagru Printed Hand Block Fabric. 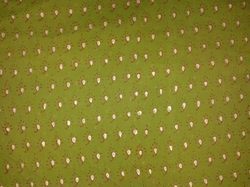 Offered hand block fabric is widely used for designing different types of dresses owing to their skin-friendliness, smooth texture and eye-catching colors. 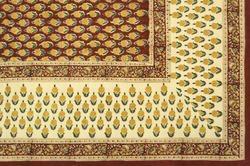 This hand block fabric is available in customized options as per the demand of customers. Our provided hand block fabric is rigorously checked by our quality experts in order to dispatch a flawless range. 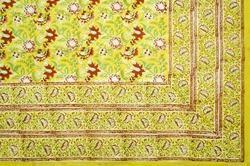 Owing to the immense experience in this domain, we are providing an excellent range of Block Print Cotton Fabric. This cotton fabric is designed by vendor’s ingenious designers with the use of supreme quality fabrics at our sophisticated designing unit. Our provided cotton fabric is checked by quality controllers in order to deliver a defect free range. 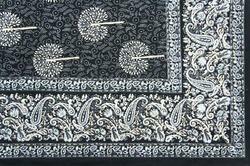 Also, the offered cotton fabric is suitable to design kurtis, sarees and other garments in textile industry. 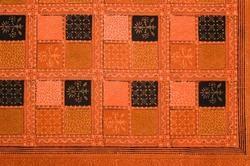 Backed by all modern amenities, we are engaged in offering Block Print Fabrics to the clients. Our offered fabrics are made from top notch quality raw materials and finest yarn employing most recent technology. This is available with us in various Jaipuri prints, attractive designs and vibrant colors. Adhering to our international quality production, we have earned the client's faith towards our qualitative Block Printed Fabrics. Our offered block printed fabric is fabricated with the aid of our trained designers who have vast knowledge of market latest trends. We use only best quality threads & yarns along with advanced techniques for fabrication process, with the international quality standards. 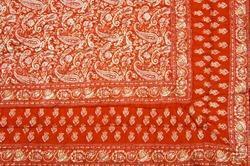 Additionally, we offer this block printed fabric in various colors, styles, and designs. Being the most remarkable names in the industry, we offer an exceptional range of Block Printed Running Fabric that is valued among the clients for its classy looks and trendy patterns. Our entire product range is designer in nature and is worn with utmost ease. We offer them in enchanting shades and are skin-friendly. Our product range is easy to fabricate and are designed by experienced professionals. Being the leading firm in the industry, we offer astonishing collection of Block Prints Fabric that are developed using quality approved threads. Our entire product range adds special charisma to the personality of the wearer. They have enchanting looks and are delivered in varied colorful looks. 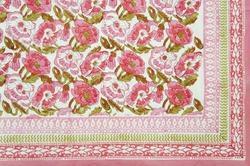 Block Print Fabric is pretty in designs and is offered with per meter length. 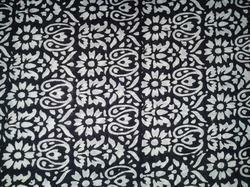 Keeping in mind the diverse requirements of our esteemed clients, we are offering a designer range of Fine Hand Block Print Fabric. 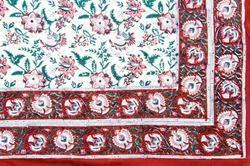 Offered block print fabric is woven by using best quality of threads under the strict direction of vendor’s designers. 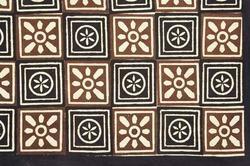 This block print fabric is accessible in numerous sizes & colors options so as to meet the needs of clients. 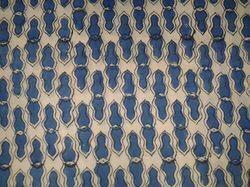 Also, our esteemed clients can avail this block print fabric from us at market price within a confine time to them. We continue our legacy by offering Hand Block Printed Fabric to the clients. Our offered fabrics are manufactured using first-class quality yarn and hi-tech textile machines. Moreover, our offered product is widely used in a number of textile industries for fabricating different classy and fashionable apparels. In addition, this entire range is strictly checked on various parameters to ensure its quality and finish. 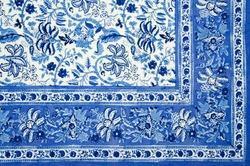 Clients can avail a comprehensive range of Indigo Block Print Fabric which is designed using premium quality raw material. This product is widely used by clients for their beautiful designs and various vibrant colours. Moreover, this product is admired amongst our esteemed clients for its reliability and pocket friendly price. 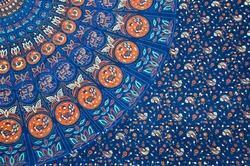 Being a client-centric organization, we are engaged in offering a wide range of Jaipur Block Print Fabric. The specification of these products can also be modified according to the customer's requirements and demands. Our product is made using the finest quality raw material and is offered on pocket friendly price to our esteemed clients. 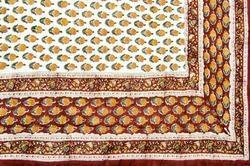 Leveraging our vast domain excellence, we are engaged in offering Kalamkari Hand Block Printed Fabric to the clients. Our entire range of products is developed by our skilled and expert professionals utilizing optimum grade raw materials sourced from the certified vendors of the market to make sure of their quality and durability. Further, clients can avail this entire range in different specifications as per their choices. 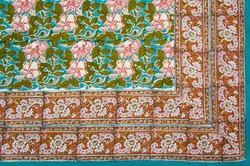 We are into the business of manufacturing and supplying a wide range of Rapid Hand Block Printed Fabric. The color combination of our range makes it highly demandable amongst the esteemed clients. High grade fabric is used by us for making these printed items that makes them reliable. We offer thee printed material in different designs, patterns and sizes as per the requirements of our valued clients. Owing to the expertise of the industry since years, our company has been able to serve our valued clients with a comprehensive range of Running Block Printed Fabric. 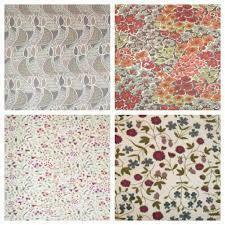 These block print fabrics are interestingly designed by the experts in accordance with the new trends of the industry. This enables us to serve the choice of our valued clients in an effective manner. We have reasonably priced our range. Our company has emerged as one of the most prominent names in the industry engaged in manufacturing and supplying a wide range of Sanganeri Block Printed Running Fabric. These items have gained high acclamation from the clients for their fine finishing, expansive usage and many other features. We make sure that these prints are finely designed on the fabric for an attractive appearance. 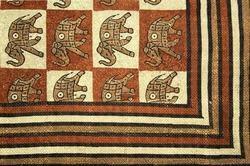 We are a reputed name in this industry engaged in offering Sanganeri Hand Block Printed Fabric to the clients. Our offered fabric is manufactured from industry grade raw materials that are procured from reliable vendors of the market. Moreover, this is widely known for its extraordinary color combination and silky texture. Being a client-centric organization, we are engaged in offering a wide range of Unstitched Block Printed Cotton Fabric. 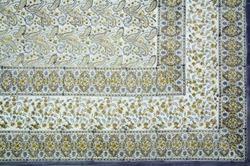 These block print fabrics are interestingly designed by the experts in accordance with the new trends of the industry. All these fabrics are well designed by the team of expert designers and efficient workers of the industry. 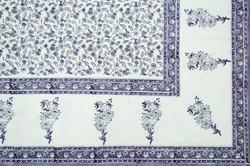 Available quality: "60 x 60"
Looking for Block Printed Fabric ?